Film: recording moments. Moments that have passed, even as the shutter clicks. It’s no wonder photography is bound so deeply to nostalgia, sending us down memory lane to simpler times. But the hobby — the art — is deeper still; the equipment you use says just as much about your craft as your subjects or the developed, framed end product. For many, that sense of past history is best captured and enjoyed through a vintage camera, and believe us, there’s no shortage of those on the market. So here’s our help: a short list of ten cult vintage shooters that’ll help you find your creative eye, set you apart from the shutterbug crowd and still produce photos that’ll make your (less talented) friends and family envious. Leicas cameras list amongst those coveted by many and owned by few. When the Leica M6 appeared, many people thought it was one of the most perfect M cameras ever made. 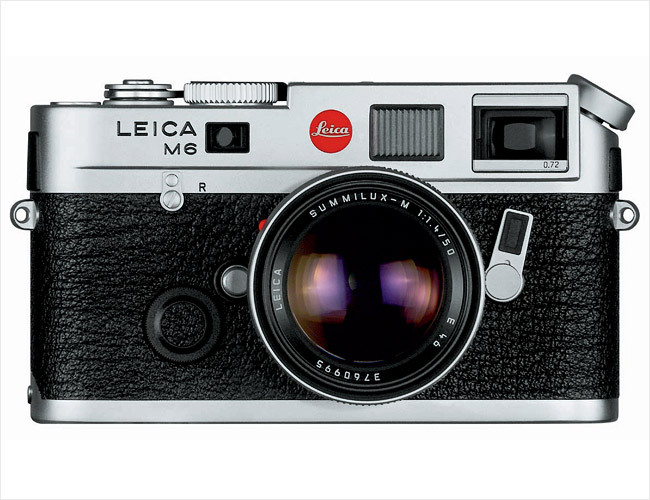 It became one of the first full M cameras to include a working built-in light meter while keeping the size down (the Leica CL could also attest to this claim, but it lacked the feature set; the Leica M5 included a meter built in, but physically towered over every other M camera made). Not only that, but reading the meter became simplistic, as the LED arrows in the viewfinder conveyed the over or underexposure. The M6 included framelines for lenses as wide as 28mm — which many rangefinder aficionados clamor for. The cameras themselves are designed for documentary and photojournalistic work, and most people don’t reach for lengths beyond 50mm. So when you’re pondering lens options, remember to tell your friends to fix their hair, because you’ll be getting quite close. Leica M6 cameras still sell for a lot of money, and the lenses can rack up an even more costly price tag in the long run. Owning one means you’ll have your hands a piece of history, but history that will last (the handmade German engineering that defines its creation included precious care and various quality control checks). 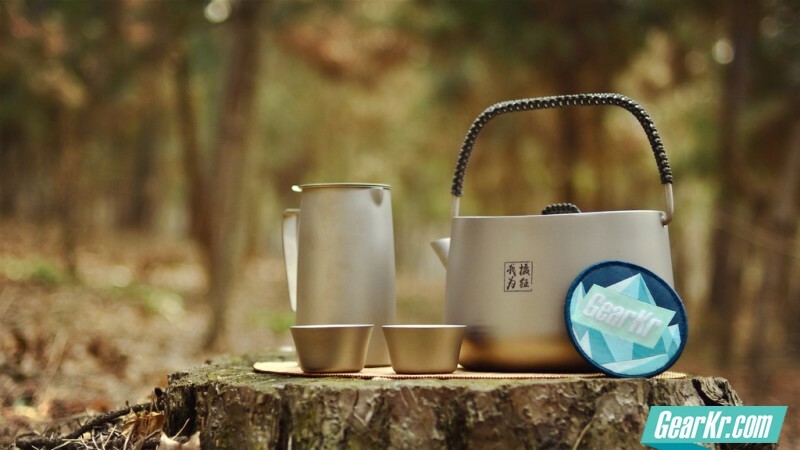 Voigtlander manufactures some very good and affordable alternatives, though; and they can introduce you into the Leica world. Still, the optics and image quality rank among the top of the hill — many photographers rely on the 500C/M even today for their paid contracts. So if you’re dead set on a Hasselblad, we’d recommend ensuring that your photography skills rank above an amateur level. This Hassy uses 120 film, which trumps 35mm in size and therefore gives you more bokeh: that beautiful blur that you see in so many photos these days. Coupled with some of the new Kodak Portra, which the company designed for scanning, you’ll eventually create an online portfolio to be truly proud of. The combo will yield you prints well worth hanging up in your living room after being printed on white glossy aluminum. 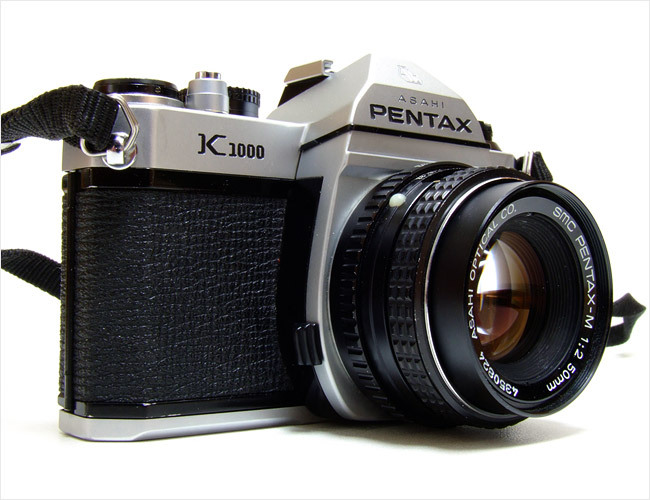 The Pentax K1000 exuded simplicity, reliability, and was widely used for a very long time. 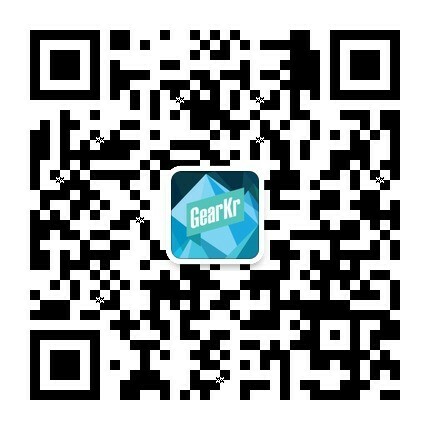 Many people shot the K1000 for both professional work and for hobby; but even until recently many students sought it because its affordable price, sturdy body, excellent light meter and small size. 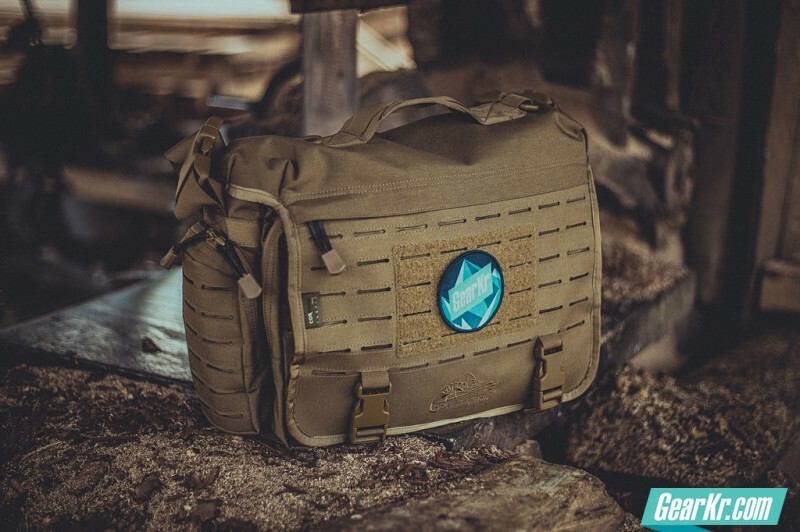 Sling one around your torso with a single prime lens and you can shoot all day and night. 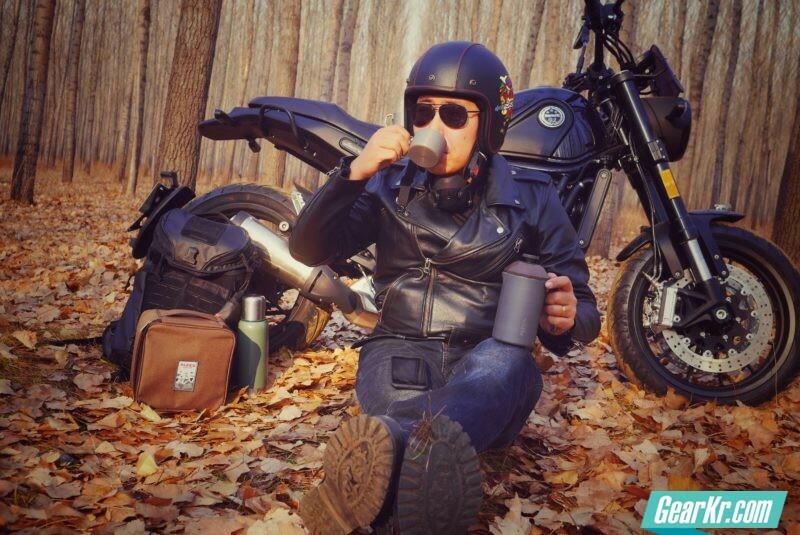 The K1000 has a very vintage appeal about it due to a chrome- and leather-covered body. Focusing the camera requires lining up two images in the split prism viewfinder. Pentax still manufactures a number of interesting focal length lenses such as 31mm, 43mm, and 71mm — and any Pentax fan will speak volumes on their quality. 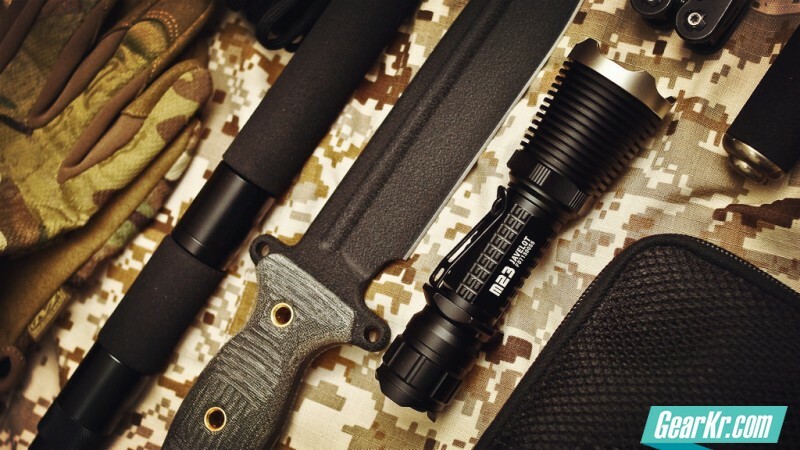 Fortunately, the K1000 also hangs on the budget-friendly side of the spectrum. If you’re making the initial journey into film photography, this is the vintage shooter for you. 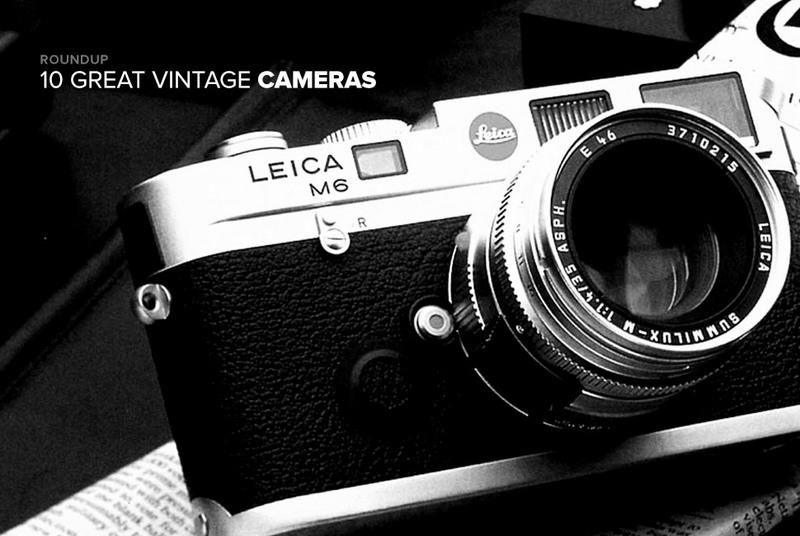 Vintage Cameras 101 Helpful links and resources for your shiny new old vintage camera. eBay: No brainer. It’s the biggest, it’s the best, but it can also be a bit daunting. Start your search here. B&H: You’ll need to do some digging, but that’s part of the fun. You can trade up or cash in, too. 2. Skip the pawn shops. And Craigslist, unless you’re a pro. Which you’re probably not. 3. Film, duh. You’re going to need some film, so make sure you know which one to purchase. Support your local camera shop if you can. If you walk in with an earnest interest in vintage cameras and a desire to shoot on film, they’re going to want to help you. 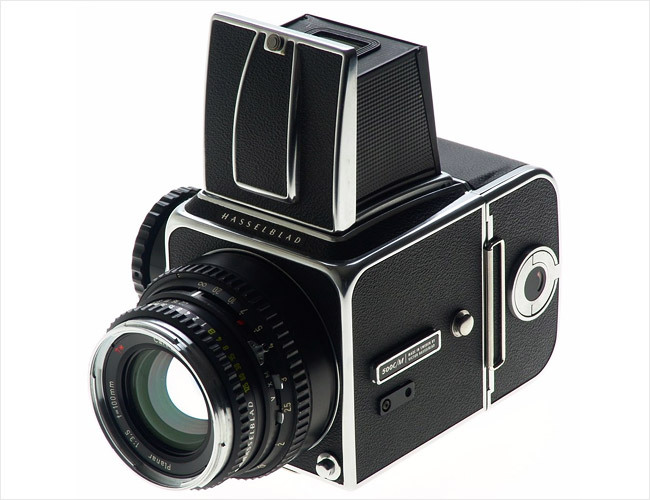 Medium-format photography for many years required excessively large camera bodies. Even though it was not the first medium format rangefinder camera (in which the inherent design cuts down on size) the Mamiya 7 II is very much the camera known and valued by true photographers. The camera utilizes a leaf shutter (which means that the shutter is actually in the lens) that can sync flash speeds to 1/500th of a second. But what also made the camera so famous is the ability to use wide angle lenses. 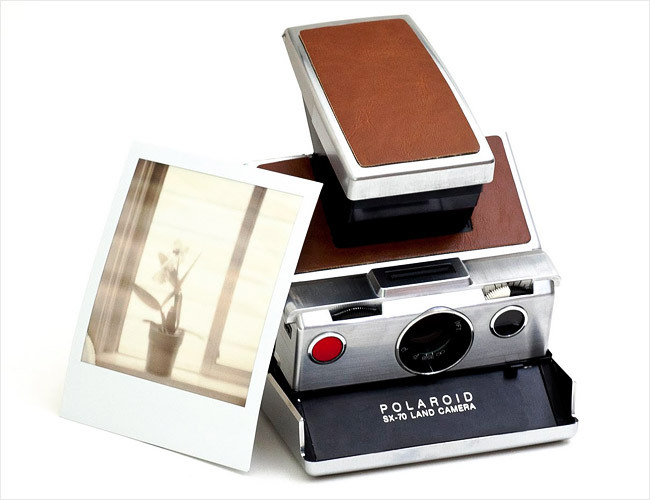 It mainly shoots in the 6×7 format, though other sizes can be used to capture vast structures and scenes. The rangefinder looks bright and beautiful with very highly visible frame lines. Most importantly though, this camera launched as one of the most quiet firing on the market (and we’d even say today it continues to hold the title today). Sometimes you can take a picture and not even know that the shutter fired. 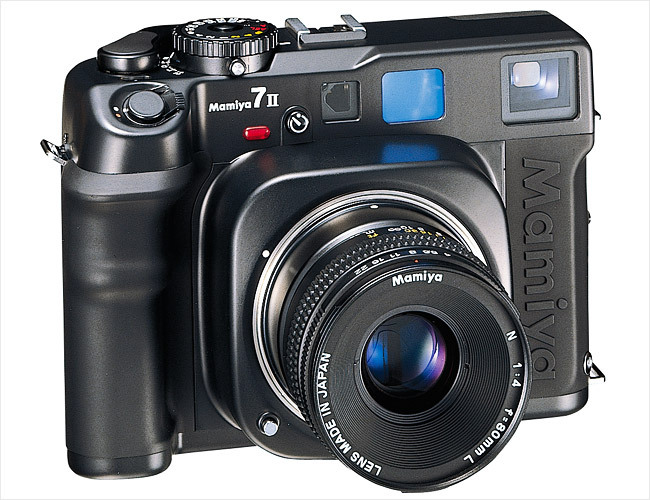 The Mamiya 7 II will steal the hearts of landscape and wedding photogs. Eventually, it may become the only camera you’ll ever need. Want one for brand new? Unfortunately, don’t expect it to be cheap. Fast aperture Zeiss glass? Check. 120 film in the 645 format? Check. Autofocus? Check. The ability to one day go medium-format digital? Checkmate. 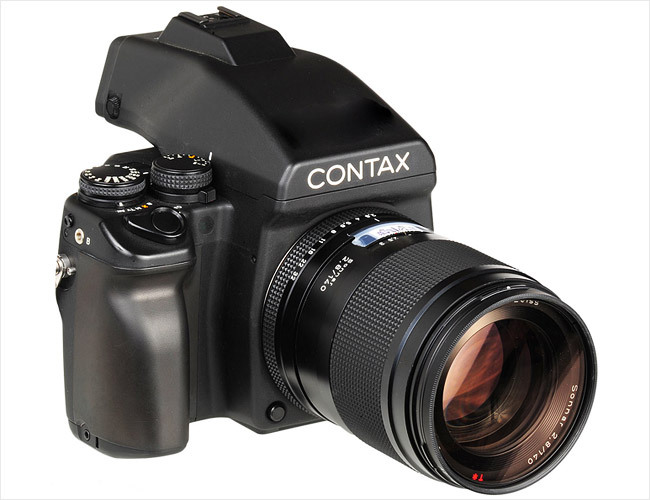 Ask any medium format photographer and they’ll tell how they feel about the Contax 645. Before digital became mainstream, this medium format beast was in the hands of the creme-de-la-creme of wedding photographers and portrait shooters. In the hands of an experienced snapper, it came across as simple to use, had autofocus with lenses as fast as F2 (which is extremely shallow in medium format due to the larger negative size), and could probably knock a thief out cold if one tried stealing it from you. They are still highly sought after but very rare; finding one is quite literally like snagging a unicorn. And if you can get one in perfectly working condition with an 80mm f2, 120 back and an AE prism, we’d recommend ponying up the Benjamins. 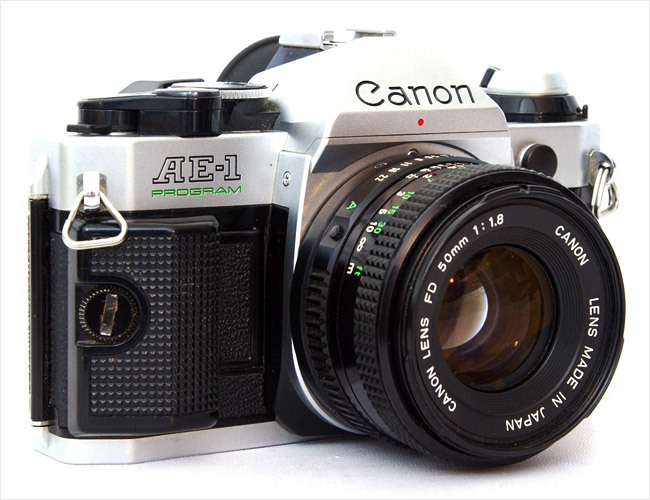 The Canon AE-1 is arguably one of the first film cameras to make photography simple and more accessible to the masses. Your parents probably used one to photograph all those embarrassing shots of younger you in your Teenage Mutant Ninja Turtles get-up (way before Michael Bay tried to ruin your childhood). By giving users a full program auto mode, shooting quite literally turned into a point, focus, and shoot process. So why did it find its way into the hands of enthusiasts, families and more? Besides being so simple your grandma could use it, Canon (and third party companies) supported it with loads of accessories and lenses. Today, you’ll find photographers behind its iconic body for professional work due to the excellent FD mount lenses available, such as the 50mm f1.2. They’re also very well built and quite obviously withstand the test of time. The Hexar AF can arguably be called a fixed lens, autofocus rangefinder. However, many may refer to it as a point and shoot. So how did a point and shoot become a cult classic? We begin with the lens: a 35mm f2, which, rumor has it, was an exact copy of the Leica 35mm f2 Summicron for M mount cameras without the nosebleed price. Then, sparkle some magical autofocus abilities onto said lens. Finally, generously attach it to a compact camera body, and you’ve got yourself a camera that can live in the inside pocket of your 1968 Vintage Bomber jacket. In English, this meant it was perfectly aimed at the street photography audience. Couple this with the quiet shutter and film advance, and you’ve got a load of reasons why the Hexar AF was (and still is) a cult classic. The camera comes with its caveats though; manual controls are a bit cumbersome. Thankfully, there is a built in light meter, so shooting still can remain somewhat simple. These cameras can be very pricy but usually stay under $1,000, which is much more affordable than even an M-Mount Leica 35mm f2 lens. Sporting leather exteriors trimmed with metal, the camera folds down for compact storage and unfolds easily enough to grab snap a cat before it can escape (the sneaky bugger). Using the bright viewfinder, the user can manually focus the lens, and as long as the light meter next to it wasn’t blocked, a beautiful piece of vintage analog love is always printed out right on the spot. 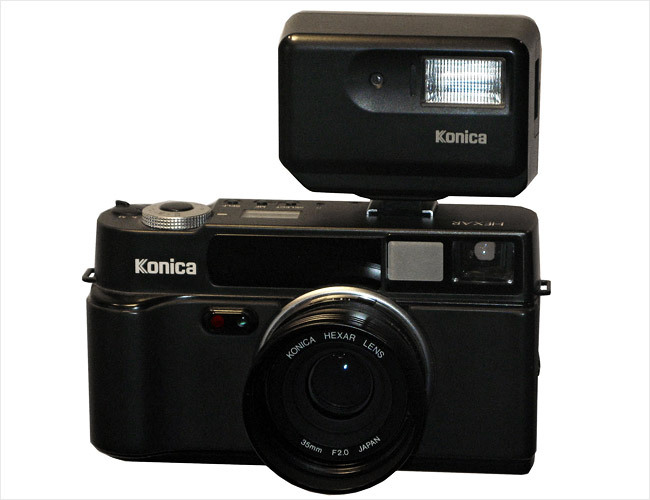 The camera’s film is large enough to be deemed as medium format. Today, you can still get film for the camera from the Impossible Project — who have come a far way in developing and improving their formula (they’ve been used for Men’s Health photo shoots, among others). But this one camera has withstood the test of time very well, and can be found in thrift shops and garage sales nearly everywhere. 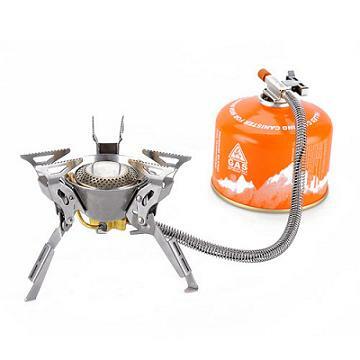 Be sure that you can snag one in good condition with no holes in the bellows. This list just wouldn’t be complete without a Twin Lens Reflex camera (TLR). The Yashica-Mat is one that can be snatched up fairly affordably and will snap excellent Kodak (Portra) moments. Shooting with the 6×6 format, the camera has an 80mm f3.5 lens, which is still very shallow due to the larger 120 format film. What that translates into is just your brand new Mustang in focus –and nearly nothing else. The LM incorporates a light meter in front of the ground glass, so you’ll have less of a hassle exposing for the bright reds after you just washed said ‘stang. Luckily, your exposure controls are all at the simple turn of a knob. 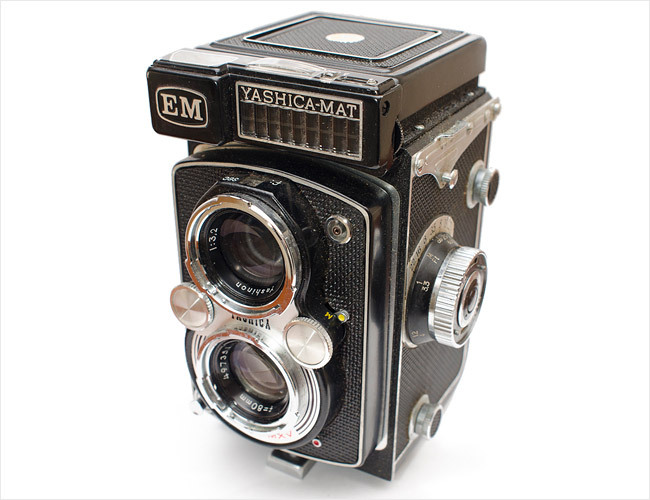 Of any TLR out there though, this is perhaps one of the most widespread-use cameras thanks to an affordable price combined with the sharp Yashinon optics. If you’re going to take the plunge into film cameras though, we recommend learning a little bit about aperture, shutter, ISO, and how they all relate to each other a bit first. 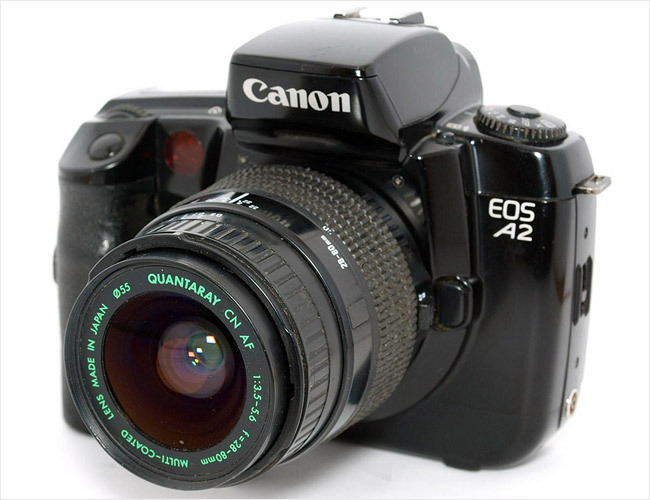 Rounding out this list is the Canon EOS 5, which was the first camera to have what some photographers still yearn for: eye-controlled autofocus. The film predecessor to the 5D series of cameras earns a place in the revolutionary cameras database for including this feature. The user calibrated the diopter and settings to their pupil movements and unlocked other features like Depth of Field preview by simply looking at the top left corner of the viewfinder. But those wearing glasses couldn’t use it, which inevitably brought back horribly memories of “four-eyes” taunts. The feature also only worked if you held the camera landscape style — which meant it was perfect for your Grandpa photographing you terrorizing your sister in the backyard. Still, the pure technology behind the feature is something that should be rekindled in today’s world.